I admit to feeling rather perplexed by Flush, which seems to be a light-hearted biography of Elizabeth Barrett’s pet dog. It was clear to me that a lot more was going on than a story about a dog. 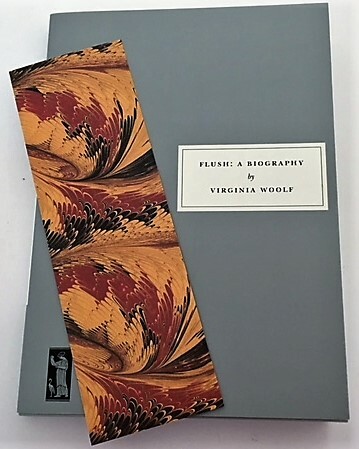 The introduction to my Persephone edition by Sally Beauman draws parallels between Flush’s life and Barrett’s—and Virginia Woolf’s own life. Flush is a cocker spaniel, a hunting dog, given to Elizabeth Barrett as a gift. Woolf is clear about how Flush’s life on Wimpole Street becomes one of constraint and even neuroticism as the lap dog of a constrained, restricted, and hypochondriacal Elizabeth Barrett. The slant the novel puts on the famous romance between Barrett and Robert Browning is also very interesting. Flush is immediately jealous of Browning and tries to bite him twice. From being loved and terrifically spoiled by Barrett, he learns he has to take second place. Now to get to the source of my perplexity. Just in terms of mistreatment of dogs, this novel was not, to me, the one fondly referred to by others over the years. Woolf’s doggy hero is restricted by Elizabeth just as she was by her father. To add interest, though, there are sly digs at social strata and Victorian life throughout. Miss Buncle’s investments have not been providing her an income, so she realizes she must do something. She decides to write a book. She submits it to a publisher, Mr. Abbott, who can’t decide whether it is a sly satire or a story written by a rather simple person. Nevertheless, he likes it and decides to publish it. In particular, he is impressed by the lifelike characters. Miss Buncle always says she has no imagination and has simply described the people she knows. When the book comes out, all of her neighbors begin to recognize themselves, and many of them are not pleased. But no one knows who the author, John Smith, is. Some of the less likable people in the village decide to find out. The topper is that Miss Buncle has imagined futures for some of her characters, and they start to behave as she predicted. This is a delightful novel, a fun, light read. It’s the perfect thing to go with a cup of tea on a rainy afternoon. I can see why so many people have loved it. I read it for my Classics Club list. Harriet is a novel written in 1934 based on a true crime that occurred in 1875. As such, it is suitable for the season as well as for the R. I. P. Challenge and the Classics Club Dare. Harriet is a woman in her 30’s who has her own fortune of £3,000 with prospects of 2,000 more. She is a “natural,” which I take to mean having some sort of mental incapacity. Although her mother, Mrs. Ogilvie, cares about her, she boards her periodically with poorer relatives, allowing them to make a little money and giving herself and her husband a little break from Harriet, who can be difficult. Mrs. Ogilvy sends Harriet to stay with her cousin, Mrs. Hoppner. Mrs. Hoppner lives with her spoiled daughter, Alice. Visiting her are her older daughter, Elizabeth, and Elizabeth’s husband, Patrick Oman, an artist. Also visiting is Patrick’s brother, Lewis, a clerk. Patrick and Elizabeth are devoted to Lewis. Although the charismatic Lewis is courting the delicate and beautiful Alice, he turns his attention to Harriet. He is soon engaged to her and marries her despite Mrs. Ogilvie’s objections. In fact, Mrs. Ogilvie tries to get Harriet made a ward of the court to block the marriage, but this backfires when Lewis finds out and tells Harriet she wants to have her committed. Once they are married, Lewis proceeds to strip Harriet of her money and possessions. After Harriet has a child, he boards her at his brother’s house and moves into a nearby house with Alice. Up until then, Lewis’s actions are marginally legal if morally repellent. It is after this that the behavior of the two brothers and two sisters becomes criminal. This novel is chilling in its psychological depictions of the two sisters and brothers. Jenkins was fascinated by the case and uses people’s actual Christian names, imaging the thoughts and activities of the characters. This novel was one of the first fictionalizations of a true crime. The way I work my blog is that, as I finish a novel, I write up my notes in a book diary. Every five reviews, I pick out my next five books from those notes, and generally speaking, I run about six months behind what I have read. Obviously, there’s room for error in this system, and I have made one with Greenery Street. I kept expecting my review to turn up, and finally, the other day, I looked the novel up on Goodreads to see when I finished reading it. More than a year ago! I looked back in my journals to see if I inadvertently skipped it, only to find that I apparently forgot to write it up. What a shame for this delightful novel! 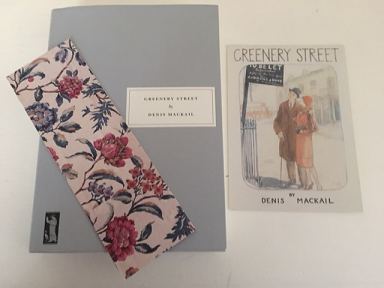 Greenery Street is a story of ordinary life in a couple’s first home, written in 1925. 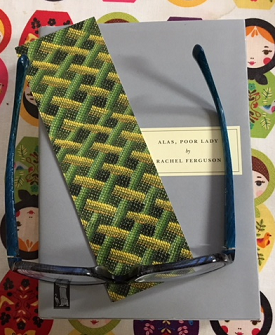 It begins on a day in April when newly engaged Felicity Hamilton and Ian Foster wander into Greenery Street in search of a house and find a very small and pleasant one. Then it jumps back to cover their meeting and engagement. The novel details the everyday life of this newly married couple. There is nothing particularly unusual about their lives (well, not for their time—not too many young wives spend their days shopping, socializing, and supervising the help anymore), but they are rendered in interesting detail and humor, small disagreements and the normal ups and downs of a new marriage. The end of the book is telegraphed from the beginning, when we’re told the house would be too small for three. However, the journey is delightful. A Footman for the Peacock was a strange little book, so I didn’t quite know what to expect from the much longer Alas, Poor Lady. It turned out to be an astonishingly feminist novel for being published in 1937. At the beginning of the novel, Miss Scrimgeour, an elderly woman, receives the charitable gift of a two-room flat and an annuity for life. One of the women involved in the charity realizes that Miss Scrimgeour is a gentlewoman, of the same class as herself, and that she previously had no income at all. She exclaims, “How did that happen?” This novel answers that question. It begins in 1870, when Grace Scrimgeour is born into a wealthy family. She is the youngest of six sisters, born almost a generation behind her last sister, but she is not the youngest child. Two years later, the Scrimgeour’s only son is born. All the girls are raised to become wives and mothers. At least the oldest girls are sent away to school, but after Charlie is born, Grace’s upbringing is neglected and she is left to be educated by a governess who is not very competent. The two girls marry, but it becomes clear that Mary and Queenie will not. Mary attempts to be useful by offering to teach Grace and Charlie, but her attempts to find herself an occupation are rebuffed by her parents. As biddable, affectionate Grace nears her debut, Captain Scrimgeour spends more and more of his money on Charlie, selling out of stable financial funds to do so. Grace’s unmarried sisters become a problem once she is “out,” because most hostesses don’t want to entertain six Scrimgeours, so they leave Grace off their invitation lists. Her parents are now too elderly to see she has proper opportunities to meet someone, and neither of her married sisters take her in hand. 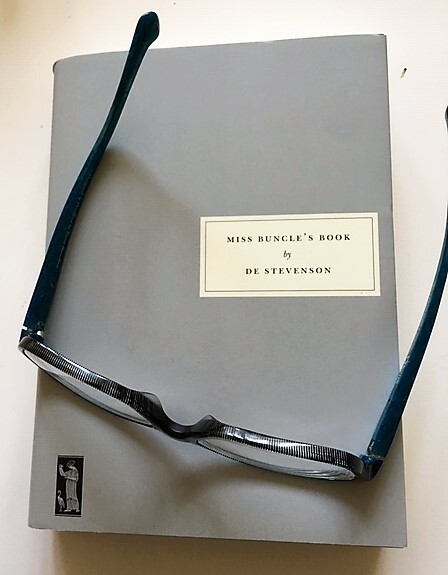 The novel follows the downward trend of the family’s finances, especially after Mrs. Scrimgeour is left in charge, herself having never received any instruction about finances. Clearly, tough times are ahead for the three unmarried sisters. This novel shows painfully the origins of the destitute lady spinster—how everything in her upbringing works against her ability to support herself. Painfully ironic for the reader, who can see where things are trending, is a scene in which the newly widowed Mrs. Scrimgeour, blithely pledging £500 for a bed in the hospital for children, money she cannot afford, ignores a plea to help indigent gentlewomen, thinking the women are shiftless. This novel is touching and eye-opening. The two most sympathetic characters are Grace, even more so her valiant sister Mary. But there is also a delightful family Grace goes to work for later. Although I found this novel sad, it was enthralling and affecting. I highly recommend it. Another great novel from Persephone Press. 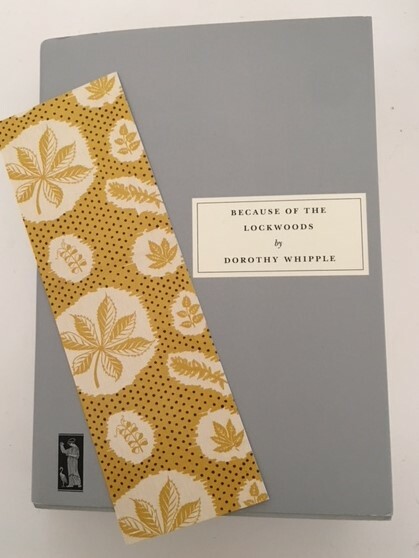 I just have to say, Dorothy Whipple keeps getting better and better. I am so thankful to Persephone Press for reprinting her books and am sorry that I only see a few more in their catalog. Because of the Lockwoods is about the complex relationships between two families, the Hunters and the Lockwoods. The families used to be neighbors and social equals, but Mr. Hunter died unexpectedly, leaving the Hunters in financial straits. When the novel opens, Mrs. Lockwood is preparing to patronize the Hunters by inviting them on New Year’s Eve to witness a production by her girls that she would not inflict on more important people and to dine on leftover treats from Christmas Day. The youngest Hunter, Thea, has grown to hate the Lockwoods for the way they treat her mother—Mrs. Lockwood patronizing her and Mr. Lockwood being irritable when Mrs. Hunter turns to him for advice. The Lockwood twins are bullies who continually ridicule Thea. What the Hunters don’t know, though, is that Mr. Lockwood cheated Mrs. Hunter just days into her widowhood. The Lockwoods are not without their good qualities, just as Thea is not without bad ones, and it is this nuanced approach that makes the novel interesting. Mr. Lockwood adores his family, and Mrs. Lockwood is one of the few old friends who continues to visit Mrs. Hunter after the family’s move to a less salubrious neighborhood. Thea, on the other hand, is difficult, stubborn, and unforgiving. While despising the Lockwoods’ middle class values, she has adopted some of them herself, and is at first snobbish when she meets a new neighbor, Oliver Reade. This novel is a long one, but it swept me up. I watched Thea suffer one humiliation after another at the hands of the Lockwood family and was interested to see how she handles her opportunity for comeuppance. One feature of Whipple’s novels is how readable they are. Once you start reading, you don’t want to stop. 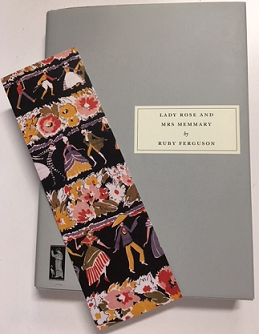 Lady Rose and Mrs Memmary is an odd little book. It shows its naive heroine in the grip of Romanticism until she learns what the real world is like. The novel begins in the 1930’s, when it was written. A couple and their friend are touring the area and come upon Keepsfield, a beautiful old Scottish house, which is available to let. They ask if they can tour the house and are taken around by Mrs Memmary, the old caretaker. As they tour the house, Helen Dacre gets Mrs Memmary to tell her about the life of Lady Rose, the Countess of Lochule, who owns the house. Lady Rose has been brought up on stories of Rob Roy and Mary, Queen of Scots, and Bonnie Prince Charlie. She is an extremely romantic and enthusiastic girl from a life of privilege but not luxury, the daughter of an Earl. Her parents make no bones during her debut in 1873 that their job is to marry her to a man of equal fortune and position in society. We see little vignettes of Lady Rose’s life from the age of six until she marries Sir Hector Galowrie when she is seventeen. Her parents don’t pay attention, however, to the idea of matching Rose in temperament. By the time the visitors appear at the house, much has changed for the aristocracy of England and Scotland. The owners of fine mansions can no longer afford to live in them. This is the story of the attitudes of her peers once Lady Rose decides she has done her duty, but it is also the story of the fall of the aristocracy. 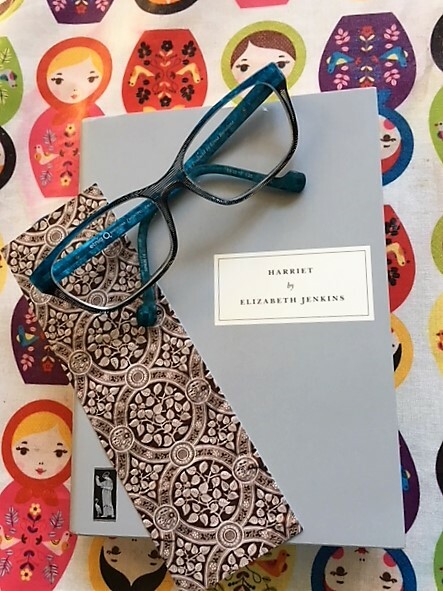 For such messages, the novel is written in an extremely sentimental style, with gushing descriptions of the house and landscape and chapters ending in poetry. I don’t think it is altogether successful, but it is interesting as a document of the times.